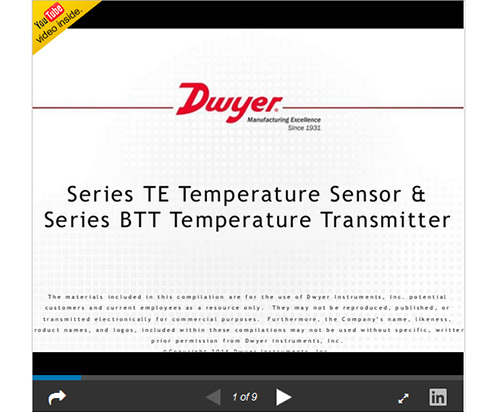 The SERIES BTT-E/N Wall Mount Temperature Transmitter offers transmitter output signals with the same form and fit as our popular Series TE-E/N thermistor and RTD sensors for Building Automation and HVAC installations. Duct mount, immersion and OSA models are available on the Series BTT page. Place your order by using our Product configurator, select the E or N mounting type option. Pt 1000 O RTD DIN Class A 0.00385Ω/°C. 32 to 122 °F (0 to 50 °C). ±0.5 °C @ 25 °C. 13 to 36 VDC for current models, 13 to 36 VDC or 16 to 28 VAC for voltage models. 4 to 20 mA or 0 to 10 VDC (depending on model).